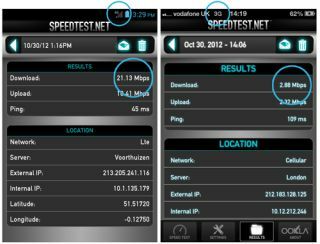 EE 4G goes live in nine more UK towns | What Hi-Fi? You can now get 4G browsing speeds on your mobile in 27 towns and cities across the UK, after the EE 4G network went live in nine more areas today. EE claims that 45% of the UK population can now benefit from the 4G network, provided you have a 4G compatible phone. The nine new 4G areas are Amersham, Bolton, Chelmsford, Hemel Hempstead, Southend-on-Sea, Stockport, Sunderland, Sutton Coldfield and Wolverhampton. The 4GEE network is now live in 27 cities, having launched 90 days ago, with EE saying its ahead of schedule for its 4G rollout. At launch last year EE promised to expand "by 2000 square miles every month" and reach "more than 98% of the population by 2014". The 4GEE network remains the UK's only 4G network, with the auction process for further 4G network providers underway now.